Nicely Equipped SE Edition!! 36 MPG Highway!! Only 55k Miles!! Clean Carfax Report with Buyback Guarantee!! Power Moonroof!! Back-Up Camera!! 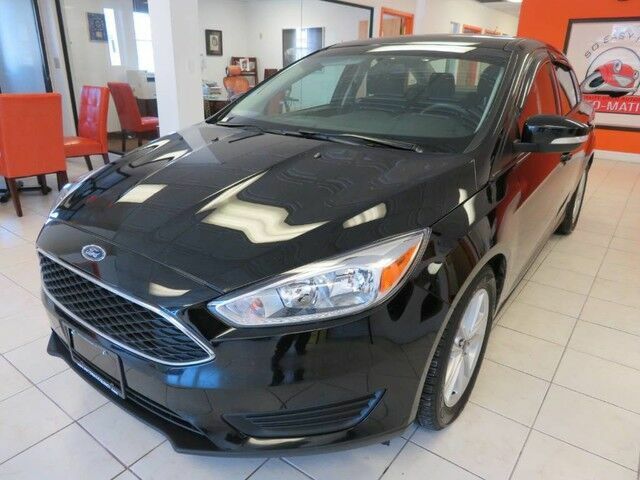 2016 Ford Focus SE, 2.0L, Black with Gray Interior, features Touch Screen SYNC System for Bluetooth, AM/FM CD/MP3 Player with Aux Input, Steering Wheel Audio Controls, Power Driver's Seat, Air Conditioning, ESC Stability and Traction Control System, Power Locks, Windows, Mirrors, Cruise Control, Folding Rear Seats, Keyless Entry and Alloy Wheels. Just Serviced, Automatic Certified!